The first five Fancy Nancy readers! Most of the words will be challenging for beginning readers. I only took real offensive with the word “diorama” in Fancy Nancy: Peanut Butter and Jellyfish as being unnecessary. Although, Fancy Nancy fans expect to learn some new vocabulary in each book. As for more sentences, Fancy Nancy and the Boy from Paris averages 4.15 sentences per page. When compared with other Level One brands: Pancakes, Pancakes from Ready to Read averages 1.95 sentences per page and Ice Cream Soup from Penguin Young Readers averages 2.09. 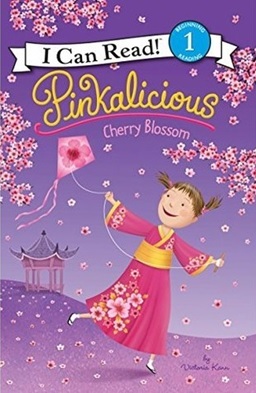 Even even compared to another I Can Read Level One book: Pinkalicious Cherry Blossom has 3.59 sentences per page. I only figured out unique words for one Fancy Nancy book: Fancy Nancy: Peanut Butter and Jellyfish. (Seriously, it was nearly an hour of work!) It has 278 unique words, which is a LOT for a beginning reader. And for leveling: 329L for Lexile score (discounting the two Adult-Directed books) and 2.2AR for Accelerated Reader. Interestingly enough, beginning with Fancy Nancy: Too Many Tutus HarperCollins has included the Guided Reading levels (Fountas and Pinnell) on the back of the books. Too Many Tutus was level K while the rest are at level J (Just My Luck!, Apples Galore!, Peanut Butter and Jellyfish, and Super Secret Surprise Party). 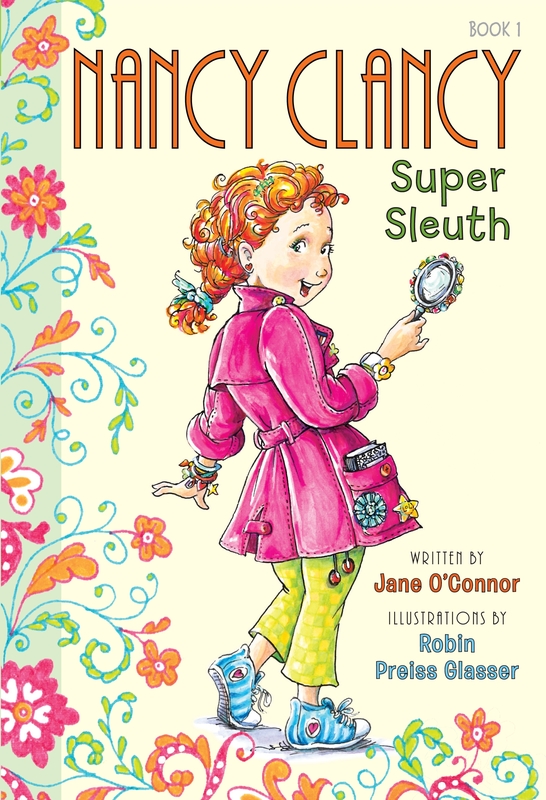 Fancy Nancy is a solid beginning reader series for more advanced and confident readers. With more sentences, higher unique word counts, and the French pronunciations that occasionally appear, I would definitely recommend this to first graders and above. Perfect for kids who love all things fancy but have exhausted the more traditional princess books, Nancy has so much more than just fanciness. She faces real-life challenges like holidays and events, friends and family problems, and fears/worries. I also love that she teaches new and harder vocabulary in an accessible way. Fancy Nancy (the original), one of the shorter hardcovers, and one of the 8×8 paperbacks. No readers are forthcoming, at least from what I know. I would guess that one more is likely to publish this year. But there is a new early chapter coming out: Nancy Clancy, Soccer Mania on September 8th, 2015. The “I Can Read” brand began in 1957 with the publication of Else Holmelund Minarik’s Little Bear. For over fifty years, the “I Can Read” brand has published favorite friends and series from Amelia Bedelia to Pete the Cat. While Seuss set the standard for excellence in writing, the “I Can Read” series set the standard for form. Recognizing that children learning to read are anxious to feel like “big kids,” Harper designed the books in their beginning reader series to look like skinny chapter books rather than picture book. “I Can Read” brand has six levels. The newest level — My VERY First — was created in 2014. 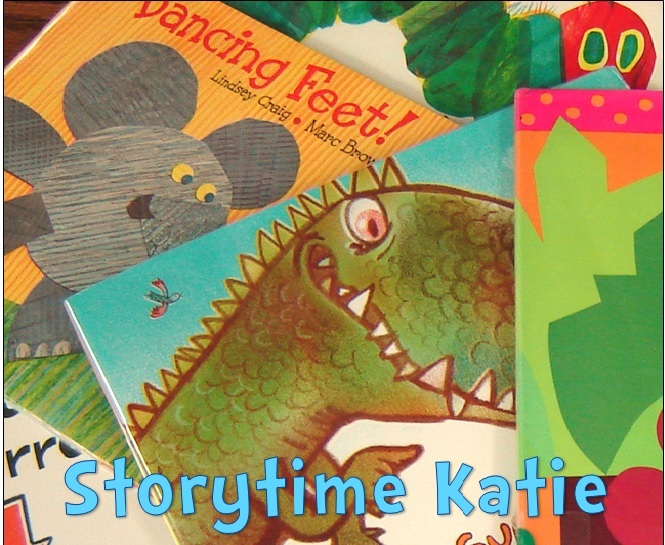 My VERY First — Basic features of print and reading, short and simple sentences, and full-color stories for children at the very first stages of learning to read. Shared My First Reading — Basic language, word repetition, and whimsical illustrations, ideal for sharing with your emergent reader. Level 1 Beginning Reading — Short sentences, familiar words, and simple concepts for children eager to read on their own. Level 2 Reading With Help — Engaging stories, longer sentences, and language play for developing readers who still need some help. Level 3 Reading Alone — Complex plots, challenging vocabulary, and high-interest topics for the independent reader. Level 4 Advanced Reading — Short paragraphs, chapters, and exciting themes for the perfect bridge to chapter books. I’m a crazy statistics person, so I went through the Lexile and Accelerated Reader websites to give you an idea of how these programs [that I don’t necessarily agree with] compare to the “I Can Read” levels. Biscuit series had a 162L and 0.95AR average. Pete the Cat series had a 192L and 1.4AR average. Fancy Nancy series had a 315L and a 2.03AR average. Amelia Bedelia series had a 364L and a 2.44AR average. Flat Stanley series had a 376L and a 2.4AR average. Dinosaur Hunter had a 470L and 3.0AR score. Lastly, I did not compare any guided reading levels (Fountas and Pinnell) since I do not have a subscription. But! “I Can Read” actually has a search by Guided Reading Levels available on their website, which is hugely helpful! 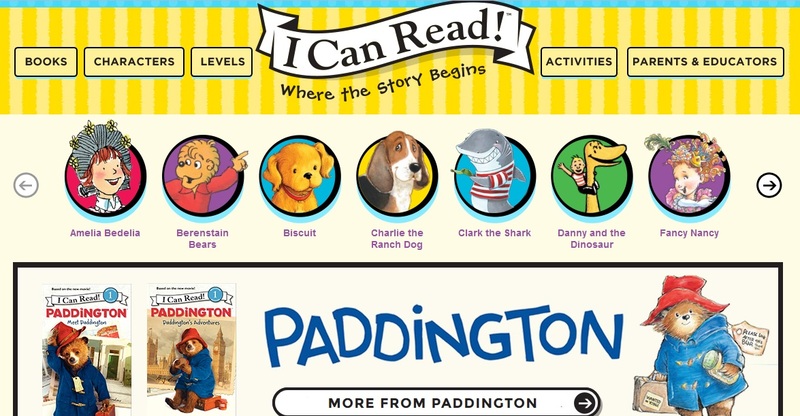 Screenshot of some of the “I Can Read” characters. 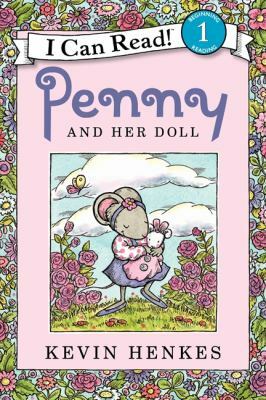 Familiar Characters Based on Picture Books: Amelia Bedelia (Young), Berenstain Bears, Biscuit, Diary of a Worm, Duck at the Door, Everything Goes (Brian Biggs), Fancy Nancy, Flat Stanley, Little Critter, Pete the Cat, Pinkalicious, and Splat the Cat. One of my favorite things that I discovered on the “I Can Read” site is in the Parents/Educators area — there’s a blog! There’s a fair amount of content here, including classroom resources and other tips for parents of beginning readers. The blog was just started in June of 2014 and it seems to be updated at least once a month. I don’t think that assigning students to read within a certain level based on tests is beneficial. I believe all reading is good reading. That being said, these programs are based on text and sentence difficulty which is useful in trying to standardize reader levels across the various brands. 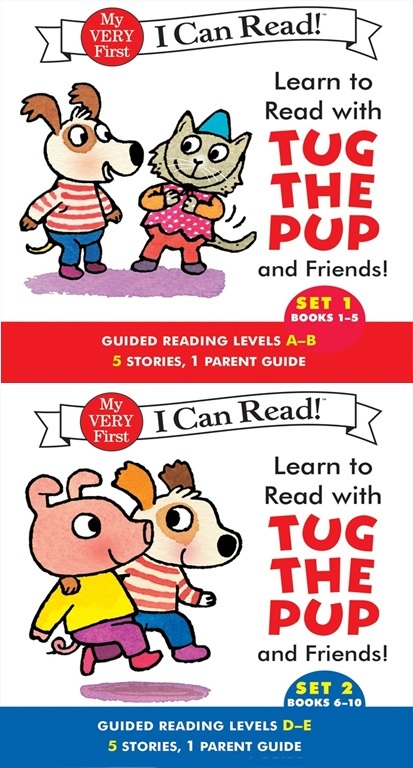 The series chosen to evaluate were based on the series that “I Can Read” promotes on their levels page. For Level 3 & Level 4, there are no promoted series. Level 3 features two series: Minnie and Moo and the Jack Prelutsky poetry collections. Since no Lexile scores were available for the Prelutsky books (I KNOW, RIGHT?! ), I chose to evaluate Minnie and Moo. Level 4 has only six books, so I just evaluated the first book as my sample size. 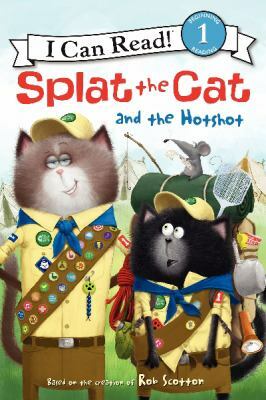 Many of the Splat readers were Adult-Directed Lexile scores. I did not use those titles in the averages of the Lexile score. Some Minnie and Moo books were not labeled as Level Three readers, so I did not add those to the averages.